Comprehensive restoration service includes a genuine OEM Yamaha exciter (charge) coil or lighting coil, all new high temp rated wiring harness, connectors etc. New low head Allen screws and washers included. 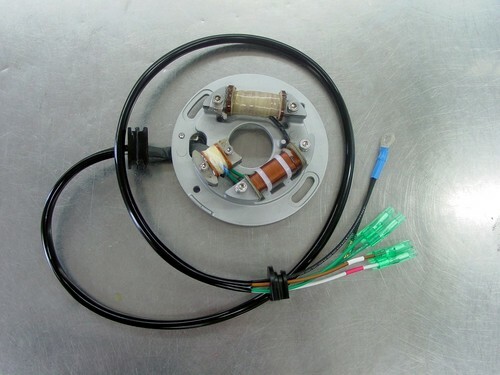 The exciter coil is the heart of your magneto CDI ignition system, we only use genuine Yamaha exciter coils. If the exciter coil tests good, and other coils require replacement, price is adjusted down accordingly.